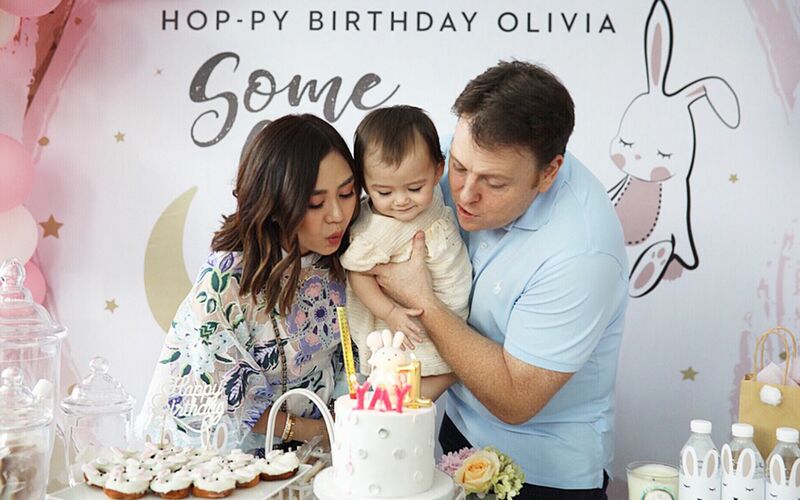 It was a fun afternoon for adults and children alike as proud parents Luke Elliott and Jenn Low hosted the first birthday party for their bundle of effervescent joy, Olivia Hua Elliott. The bubbly toddler was all smiles and giggles all afternoon, clearly having inherited her parents’ sociable natures. Rabbit motifs adorned the venue, reflecting how her parents refer to the birthday girl as 'their bunny', from balloons to the birthday cake. To cool down from the warm afternoon, some of the children played at the wading pool while their parents like Izrin Ismail, Ung Yiu Lin and Danielle Graham caught up with each other over canapes and iced lemon tea.